It’s certainly not ideal to allow your kid to sit in front of the television for hours on end (though, TV may not be as bad for your kids as you think); and it’s becoming increasingly difficult to monitor children’s activities on online devices. However, that doesn’t mean you can’t work to promote healthy, solitary habits into your kids’ schedule. 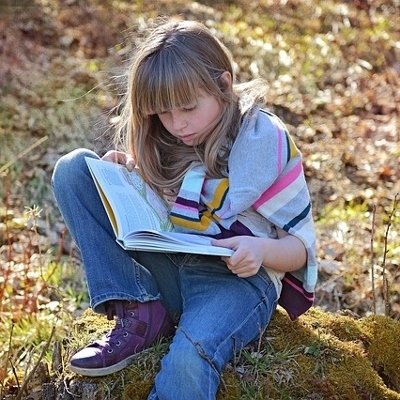 Indeed, encouraging your kids to read, write, and create are great ways to increase their enjoyment of arts and sciences while lowering your stress levels at the same time. True, not every child is suited to entertaining themselves all the time. That’s why it’s vital to lay the groundwork and help them build good habits early on. Read to your kids and provide them with arts and crafts supplies so they can express themselves. Taking your kids for a day out shouldn’t have to be a trial. Still, experienced parents will know how stressful a trip to the zoo or an outdoor festival can be –– especially in the throbbing summer heat. To alleviate some of those issues, parents should plan to take their kids to fun places that also limit the potential for frustration and trouble. Movie theaters, sporting events, concerts etc. all offer children built-in entertainment to focus on. Plus, you won’t have to break a sweat running around following your kids all day at any of these destinations! Sometimes a parent might feel like they’re in charge of every single aspect of their child’s care. And in one sense, they are. But, when the parental burden becomes too heavy you can look for ways to lighten the load. Ask for help from family members or friends and seek out professional assistance that will lessen the impact of parenting –– if even just for a little while. There’s nothing wrong with occasionally taking the kids out to eat at a restaurant to save yourself the time and energy of making dinner, for instance. Heck, even something as simple as hiring a driving service to handle transportation for a birthday or other special event can offer some relief to a worn-out caregiver. (Note, you can contact a company like All About You Limos to review your party-bus and limo options for your next big day out with the kids.) The point is, whatever you can do to alleviate your workload is worth exploring. Be creative and willing to try new things. You may just discover an activity that you and your kids love! Brought to you by our friends at aaylimos.com.